These boar and nylon bristle brushes are handcrafted in Germany with pure, natural boar bristles. 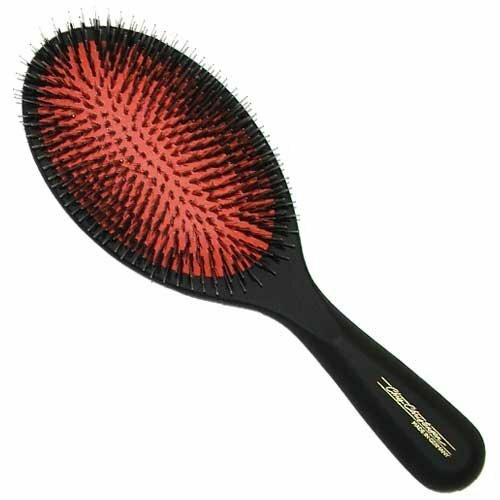 The nylon tufts are round-tipped for comfort and the handle design feels extremely comfortable in your hand. The body is made of lightweight beech wood which is enhanced with a non-slip, black Groom Grip handle and beautiful gold lettering.